Among the other closely watched contests this year are best new artist, in which two country ingénues (Kelsea Ballerini and Maren Morris) compete against two rappers (Chance the Rapper and Anderson .Paak) and a hitmaking production duo (the Chainsmokers). And, of course, best spoken word album, in which Amy Schumer meets Carol Burnett, Patti Smith, Elvis Costello and the punk survivor John Doe — but, don’t expect to see that award, or about 75 of this year’s 84 total Grammys, handed out on television, as we explain below. Check out our live briefing, red carpet photos and more. Here are some of the awards, performances and personalities we expect to be paying close attention to this year. 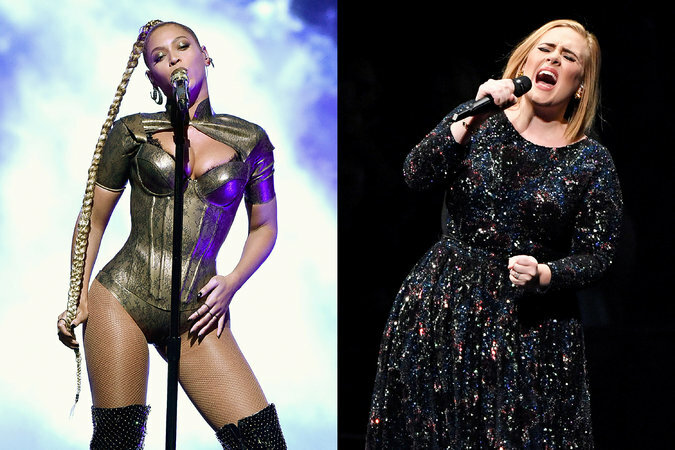 This year the Grammys will feature a competition for the ages, as Adele and Beyoncé — megastars adored by the public and by the industry’s rank-and-file voters — go head-to-head for album, record and song of the year. The competition will lend a rare element of real suspense to the very end of the night. But pitting these two women — one white and one black — against each other is also a potential public-relations problem for the Grammys. If Adele wins, and Beyoncé is snubbed, will it feed a perception that the awards too often fail to recognize minorities in the most prestigious categories? At a time of Black Lives Matter and #OscarsSoWhite, the representation of race in the entertainment industry is a particularly thorny subject; one possibility is a judicious split of the top awards. But one of the most Grammyish things about the Grammys is its unpredictability. For album of the year, Beyoncé’s “Lemonade” and Adele’s “25” are up against Drake’s “Views,” Justin Bieber’s “Purpose” and Sturgill Simpson’s “A Sailor’s Guide to Earth.” Mr. Simpson, a young country singer-songwriter, may be far less famous than those he’s up against. But he has advantages that could make him an upset victor: support from the Grammys’ powerful Nashville faction and split votes that depress his competitors’ totals. Will Mr. Simpson be this year’s Beck? 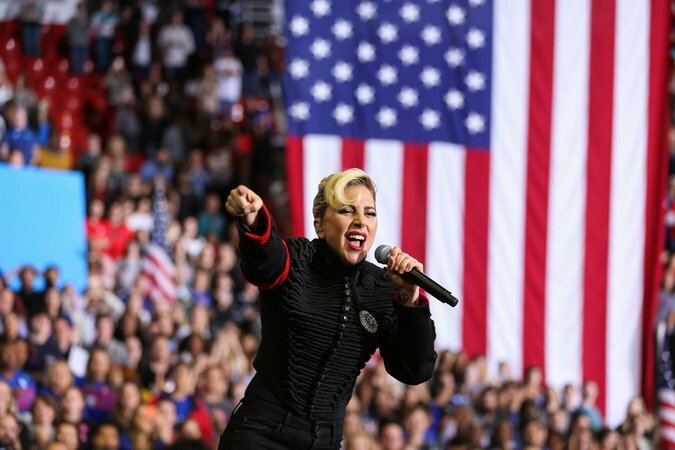 Lady Gaga performing for Hillary Clinton’s campaign at North Carolina State University. With Hollywood using the Golden Globes and SAG Awards for anti-Trump speeches, plenty of people will be interested to see if musicians use the Grammy stage for political soapboxing. The positions of many of the biggest stars are well known: Beyoncé and Katy Perry campaigned for Hillary Clinton, while Adele, John Legend and others have pointedly criticized President Trump. But microphone time at the Grammys is short, and, as became clear from the industry’s silent boycott of the presidential inauguration, musicians may also keep quiet out of fear of alienating fans or retribution on Twitter. One possibility is that big names will use their performances to make a bold statement, as Kendrick Lamar did last year with a powerful segment featuring black men in chains and prison garb. James Corden, host of the Grammys, helping to roll out the red carpet. James Corden, the new host of the Grammys, is a high-profile person with a low-profile job. Mr. Corden, the British-born comedian and host of “The Late Late Show” on CBS, has an opportunity to bring some fresh energy to the show, but it is a small one: He will be on camera for less than 20 minutes of a three-and-a-half hour show that is otherwise packed with performances. He is also exempt from many of the standard functions of an awards-show M.C., like giving an opening monologue. But the producers are expected to make him a greater part of the show than LL Cool J was over the last five years, and will surely capitalize on Mr. Corden’s rapport with musicians, as seen in his viral “Carpool Karaoke” skits. The “in memoriam” segment this year should be particularly heartbreaking; since the last Grammy Awards, the departed have included Leonard Cohen, Maurice White, Merle Haggard, Leon Russell, George Martin and Ralph Stanley. But two deaths in particular — that of Prince and George Michael — will get the full Grammy treatment with musical tributes. 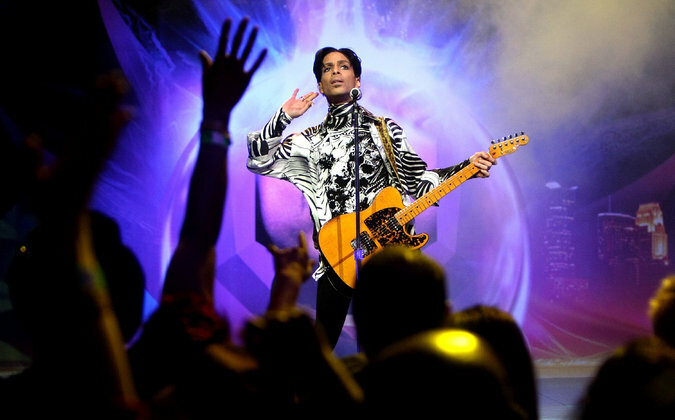 Grammy organizers have not named the performers in these segments, but Bruno Mars and the veteran Minneapolis funk band the Time are widely expected to honor Prince. As reverent as these kinds of tributes are, they usually don’t shy away from glitz and bombast — remember Lady Gaga’s homage to David Bowie last year, in which high-tech special effects guided her through a medley of 10 songs? For fans of classic Grammy glitz, the show will also feature a Bee Gees tribute with Demi Lovato, Andra Day, Tori Kelly and Little Big Town.